Manufactured By – WEA Manufacturing Inc.
Record Company – BMG Direct Marketing, Inc.
Green Snow Music/Motor Jam Music, ASCAP/One Blood Music. Green Snow Music/Motor Jam Music/...On-Mic Music, ASCAP. Recorded at The Mixing Lab, Kingston, Jamaica. Bayside Sound, Queens, NY and Cherry Beach Sound, Toronto, Canada. Mixed at Unique Studios, New York, NY. Green Snow Music/Motor Jam Music/Stingray Music/...On-Mic Music/Army From Hell Music, ASCAP. Green Snow Music/Motor Jam Music/MC Shan Music/Go Figure Music/Stingray Music, ASCAP. Mixed at Chung King, New York, NY. Green Snow Music/Motor Jam Music/Stingray Music, ASCAP. Recorded at The Mixing Lab, Kingston, Jamaica. Bayside Sound, Queens, NY. Written for The Core Of Production. 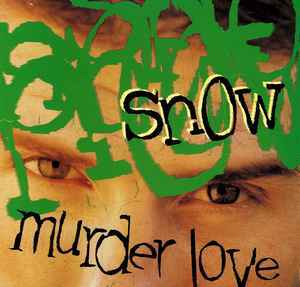 Green Snow Music/Motor Jam Music/The Core Of Music, ASCAP. Produced for The Core Of Production. Recorded at Soundtrek Studios, New York, NY and Cherry Beach Sounds Studios, Canada. Mixed at Soundtrek Studios, New York, NY. Green Snow Music/Motor Jam Music/MC Shan Music/Go Figure Music/Stingray Music/One Blood Music, ASCAP. Green Snow Music/Motor Jam Music/Army From Hell Music, ASCAP. Mixed at Quad Studios, New York, NY. Mixed at Bayside Sound, Queens, NY. Green Snow Music/Motor Jam Music/Stingray Music/...On-Mic Music, ASCAP. The Core Of Music, ASCAP/Bill Withers/Interior Music, BMI. Mastered at The Hit Factory, NYC.